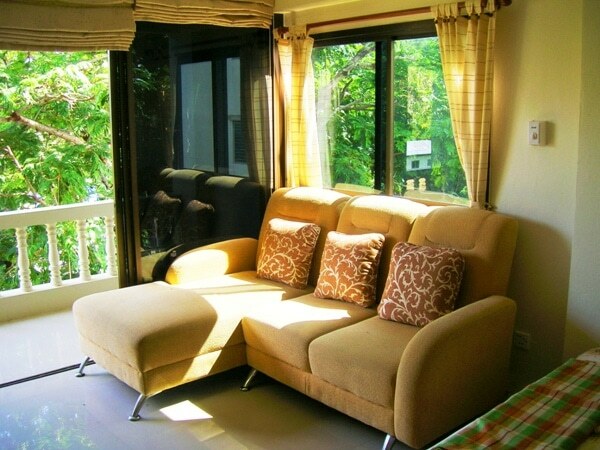 PhuketSpace offers a range of premium Rawai studio apartments for rent, in the heart of Rawai Beach, a quiet village at the southern tip of Phuket island, in Thailand. 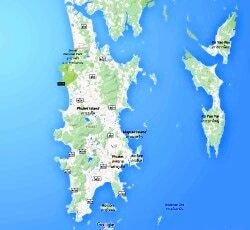 Each premium studio apartment in Rawai, Phuket is just 300 meters from the stunning Andaman Sea, each with a sea view to the south. Every premium Rawai apartment for rent has a full-width French-window style balcony, designed to be opened fully to bring the spectacular view right into the apartment. 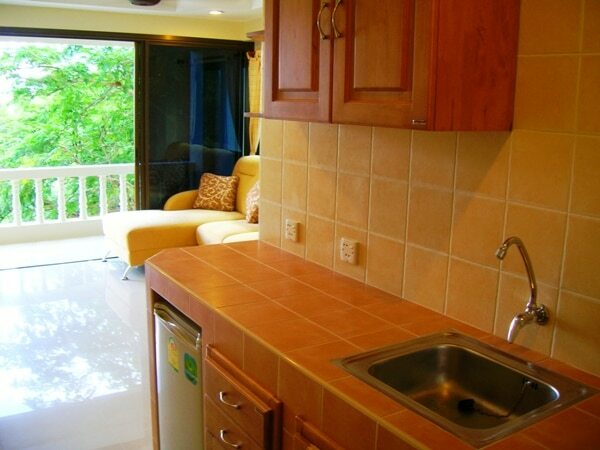 Each of our premium Rawai condominiums is fully furnished, with ensuite bathroom and kitchen area with refrigerator. 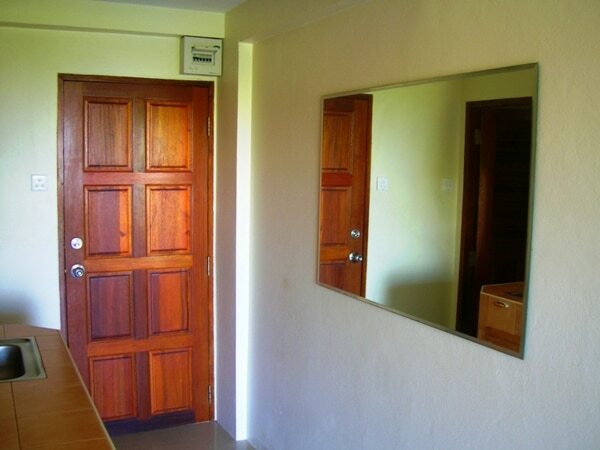 These apartments in Rawai come with secure wireless Internet (and wired LAN outlet) at no additional cost. 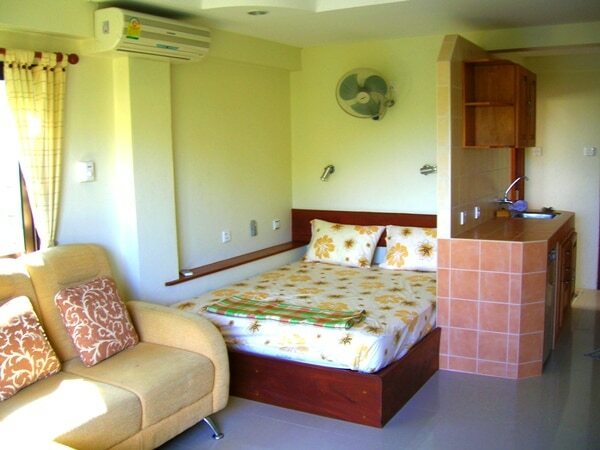 The western-designed premium Rawai studio apartments are finished to a very high standard, with foreign tastes and requirements in mind. 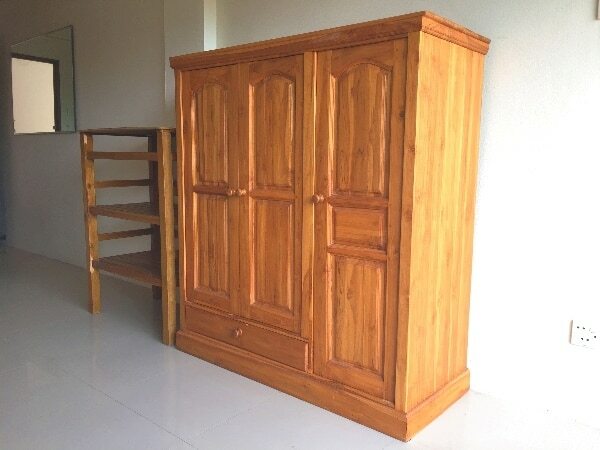 There is additional storage space built in under the beds, and plenty of power outlets in the walls – two things often missing from apartments in Phuket. 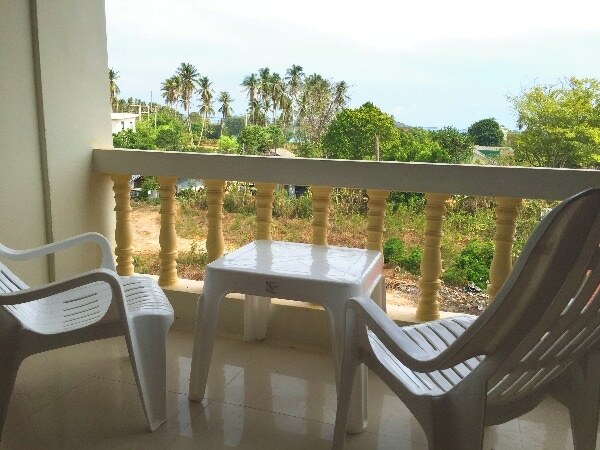 These exceptional studio apartments for rent in Rawai all have air conditioning installed, and all are equipped with fans to keep the sea breeze moving around the apartment. 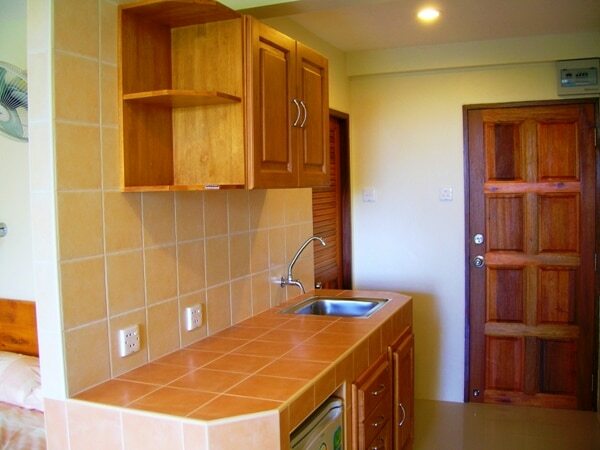 These studio apartments in Rawai start at 8,000 baht per month for long-term rentals. 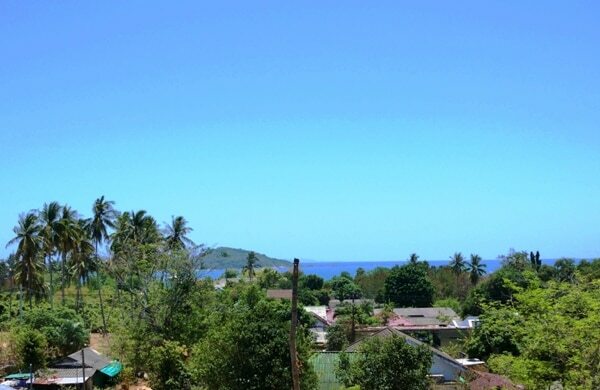 Scroll down the page for some pictures of the premium studio apartments in Rawai Beach, or click the “Rawai Beach” button at the bottom of the page for a Google map showing the location of our premium Rawai furnished apartments.